When I crave for something Mouth-watering and Sizzling, Orange Brutus' Sizzling Burger Steak never fails me. 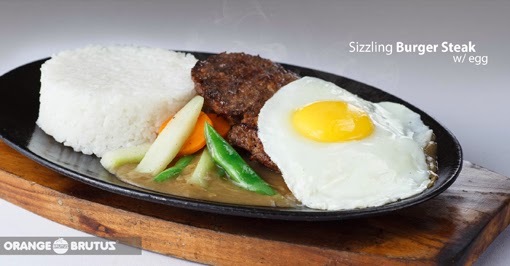 The mouth-watering and sizzling beef patty drenched with mushroom gravy served with egg and vegetables always satisfies me. Orange Brutus, the first Cebuano hamburger chain will be celebrating its 35th Anniversary this April 1, 2015. Follow them on Facebook and expect a bunch of surprises and perks to come your way. 35 years ago, the first Orange Brutus store was opened in the oldest street in the Philippines - Colon St. Cebu City. 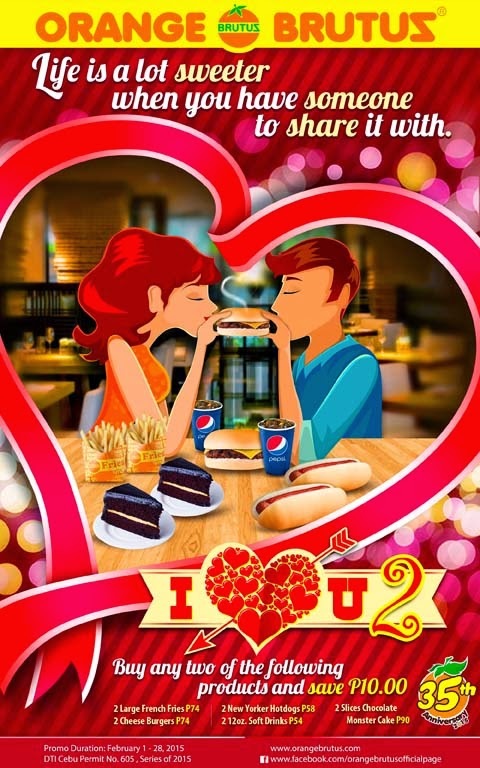 Charbroiled burgers and fresh fruit shakes were the main offerings at that time. 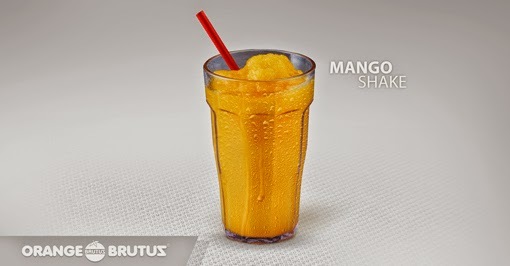 Since day one, Orange Brutus was always committed to serve healthy and nutritious products. Healthier oils are used in the frying process, the burgers are charbroiled to ensure low cholesterol and only the freshest ingredients go to the food items. Just recently, they have started ozonating their raw ingredients. This is a chemical-free process to take out the bad enzymes and bacteria from the raw materials to ensure the safety and health of its customers. With trust in God, loyalty of customers and dedicated employees, Orange Brutus now have 22 branches namely: Ayala Center Cebu, Ayala Cart, Cebu Doctor's Hospital, Centro Mandaue, Elizabeth Mall, Fuente Osmeña, Gaisano Grand Carcar, Gaisano Grand Fiesta Mall, Lapulapu, Mactan Marina Mall (MEPZ 1),Mactan Southgate Plaza Pueblo Verde (MEPZ 2), Naga, One Pavilion Mall Banawa, Parkmall, P. del Rosario, Plaza Margarita – Minglanilla, Robinson’s Cybergate, Rosedale, SM City Cebu, SM City Consolacion, Super Metro Colon and Super Metro Mandaue. Expect exciting promos, social media contests and announcements only at Orange Brutus Facebook page Also visit your nearest Orange Brutus outlet for their ongoing store promotions. 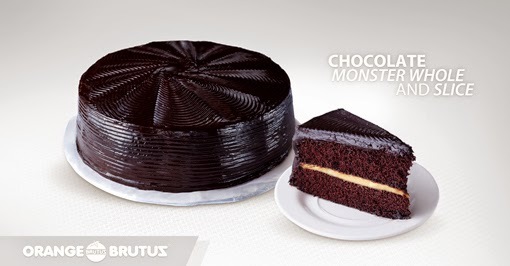 Orange Brutus' February promo lets you SAVE P10 when you buy two of the following Orange Brutus products: Large Fries, Cheese Burgers, New Yorker Hot dogs, Chocolate Monster Cake slices and 12oz. Soft Drinks . Orange Brutus outlets Delivery Telephone number is (032) 422-8000. 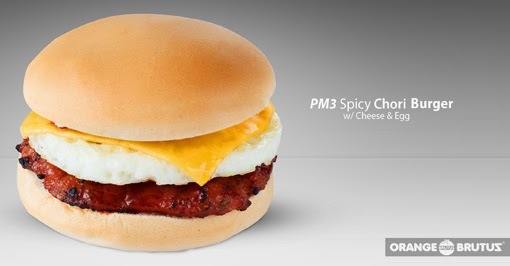 1 comments: on "1st Cebuano hamburger chain, Orange Brutus celebrates its 35th Anniversary"
I wanna try that out miong..